The southern part of Lahore is witnessing massive investment activity these days because of various reasons. The expansion of Raiwind Road has played an important role in boosting property prices and now the southern loop of Lahore Ring Road (LRR) – expected to be completed within a year – is encouraging many investors to consider societies located along Raiwind Road. Although there are many societies located along Raiwind Road, I will shed light on four housing projects in Part 1 of the blog. Rest assured, I will write about the remaining societies, including Icon Valley and Lake City, in Part II. Bahria Orchard, a project that comprises three phases, is one of the most sought-after housing societies located on Raiwind Road. According to a Bahria Town official, possession for properties has been granted in the Blocks G, J, and H of Low Cost Orchard (LCO), while possession in the remaining area of LCO and Overseas Low Cost (OLC) is expected by the end of the year. Phase III of Bahria Orchard was launched recently and 8-marla plots were offered in the locality. According to my sources, the second instalment of these plots is currently due and the plots in question are being traded at a profit ranging between PKR 1,500,000 to 2,800,000 as per location. I would suggest you consider Bahria Orchard for investment. I understand that prices in the locality have already increased manifold, but there is still room for growth. The LRR will play an important role in causing prices to surge here. Sui Gas Housing Society’s Phase II is another project worth considering on Raiwind Road. The society is almost developed, but electrification work has yet to be completed. You can even visit your plot in the locality as road infrastructure is complete. The society management has not granted possession for properties yet. However, it is expected that possession will be handed over within a year a so. These prices are still low compared to many other fully developed housing societies in Lahore, which is why I would recommend you to consider it for investment purposes. AWT’s Phase II is a fully developed housing project with possession already granted for properties. Plot prices in the locality have been increasing continuously over the last three months and are expected to grow further in the time to come. The completion of the LRR’s Package II, which includes the interchange at Adda Plot on Raiwind Road, will push property prices up in the locality. Investors as well as homebuyers can capitalise on AWT’s Phase II. The Lahore Development Authority (LDA) has already handed over possession in the clear area of LDA Avenue I. Currently, people are building their houses in Blocks B, J, and M.
This housing project has an edge over other societies on Raiwind Road because of its location. It is accessible from Khayaban-e-Jinnah and Raiwind Road. Furthermore, people use this area to reach Bahria Town and Defence Road. I personally believe that property prices will increase in the locality as its population increases. Why is Lahore seeing so much investment? Have you ever thought about why Lahore’s property market is witnessing immense investment activity? Well, let me share my views with you. Those who forfeited their properties for the development of Orange Line Metro Train project received huge compensation from the government. With this amount of money in hand, these people are probably investing in the property market. Furthermore, the government is currently tracking incomes and the real estate sector provides a good shelter in this regard. That’s all I have to share with you for now. We can talk further about the localities discussed in the comments section below. Let me know your queries, I will try to answer them as soon as possible. 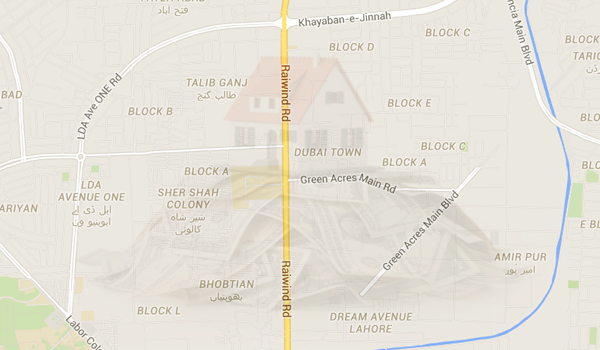 And if you would like to garner details about other housing projects located on Raiwind Road, stay tuned! Part II will be up in a few days!